The Old Hill Street Police Station was a six-storey neo-Classical building located at the junction of Hill Street and River Valley Road. It cost $494,000 to construct in 1934 — a hefty sum back then — and was the largest police barracks in British Malaya. The spacious compound also housed a parade ground, quarters for the staff and their families, playgrounds for the children of the European police officers, and also Singapore’s first jail. During World War II, the Hill Street Police Station, like the Central Police Station, was commandeered by the Japanese. The building was gazetted as a national monument in 1998. It is used today by the Ministry of Communications and Information (MCI) and Ministry of Culture, Community and Youth, including the National Arts Council, the National Heritage Board and the Media Development Authority. 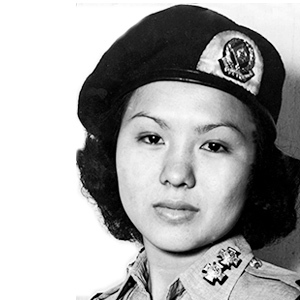 Recruitment of women to the Singapore police force started only in the 1950. One of 10 women who responded to the initial call, Mary Quintal rapidly rose through the ranks to become, in 1961, the first woman assistant superintendent of police.